Microsoft Office for iPad Gets AirPrint! This is just a cool, quick and easy update to announce, but it could be an important one for folks who rely on the MS Office Suite. 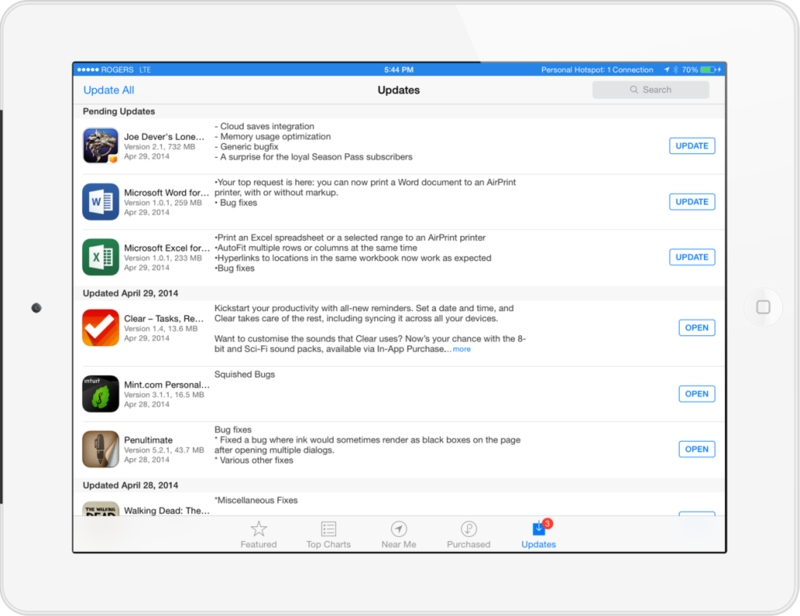 The latest update to Microsoft Word, Excel, and PowerPoint for iPad has added AirPrint compatibility to the apps. This removes yet another one of the obstacles to getting “real work” done on the iPad, so long as you have access to an AirPrint-capable printer. The other sticking point — the requisite Office 365 annual subscription for using the apps — is still around, but the recent release of a slightly more affordable Office 365 Personal ($65/year for one PC and tablet) does make things a little easier. I’ve already found Word for iPad surprisingly useful for quick document markup and review, so it’s great to see the Microsoft Office team cranking out such frequent updates. This week Microsoft has launched Office 365 Personal – a new flavor of Office 365 that makes it more affordable for iPad users and others who don’t need to install it on a large number of devices. It’s priced at $69 per year – about 30% off the standard $99 annual subscription. Office 365 Personal subscription allows installation on one iPad or Windows tablet, and installation on one Mac or Windows PC. The $99 standard Office 365 allows for installs on up to 5 supported PCs and tablet devices. The Office 365 Personal subscription provides the latest versions of Word, Excel, Powerpoint, Outlook, OneNote, Publisher, and Access; full editing features on the Office iPad apps, 7GB of OneDrive cloud storage, and automatic upgrades on the Office applications. This is a very good move by Microsoft to release this new version of Office 365. This should lead to a lot more sales to iPad users, and to many users who don’t need to install these apps on more than a couple of devices. 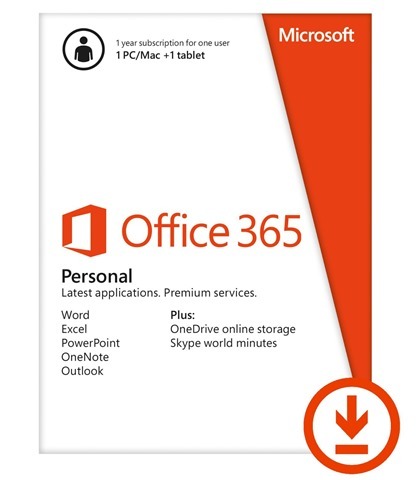 You can see more details and buy Office 365 Personal via Microsoft or at Amazon for the same price. Great article at Reuters on how much Microsoft may have shot themselves in the foot (or maybe the heart) by not bringing Office to iPad and to mobile devices from Apple and Google. It may be one of Microsoft Corp’s biggest squandered opportunities. Tired of waiting for Office to be optimized for their mobile gadgets, a growing contingent of younger companies is turning to cheaper, simpler and touch-friendly apps that can perform word processing and other tasks in the cloud. Take Artivest Holdings Inc, a New York-based financial services startup that sells alternative investment products. The New York-based company uses an app called Quip, which combines word processing and messaging, to handle all but the most sensitive legal and financial files. “There are no more Microsoft Word documents being circulated. If someone emails me a Word document, I’ll tell them to put it in Quip,” said Artivest Chief Investment Officer David Levine. The article also cites one analyst saying that Microsoft is losing out on $2.5 billion in annual revenue just by keeping Office off the iPad, not even counting other iOS and Android devices. My math’s not great, but I’m pretty sure that’s 7.5 billion already lost in the last 3 years or so that the iPad has been around. This has got to be a ‘How Not To Do Things’ course in business schools in future. Outgoing Microsoft CEO Steve Ballmer has confirmed that Microsoft Office will be coming to the iPad. As The Verge reports, Ballmer mentioned at a public appearance yesterday that iPad ‘will be picked up’ once there is touch-first interface for Office. Ballmer didn’t offer any timeline (sound familiar?) but there seem to be expectations that by this time next year we could see Office for iPad. I would imagine sooner than that is possible and it would be very much in Microsoft’s interest to give this some major priority – as they’ve already likely left literally billions of dollars on the table by taking so long to bring Office to iPad and iOS. Now that iWork apps are free and there are a number of Office-compatible apps out there, how much do you care about seeing Office for iPad? Will you be ready to buy it as soon as it hits the App Store, or not interested at all? Towards the end of last week Microsoft brought a version of Office to iOS for the first time – while leaving out an iPad version. Office Mobile for Office 365 subscribers (catchy name!) is an iPhone only app for now, and is ‘the official Office companion optimized for your iPhone’. You can access, view and edit your Microsoft Word, Microsoft Excel and Microsoft PowerPoint documents from virtually anywhere. Documents look like the originals, thanks to support for charts, animations, SmartArt graphics and shapes. When you make quick edits or add comments to a document, the formatting and content remain intact. The one big catch on this app is that it requires an Office 365 subscription to use it. For home users those start at $100 per year. 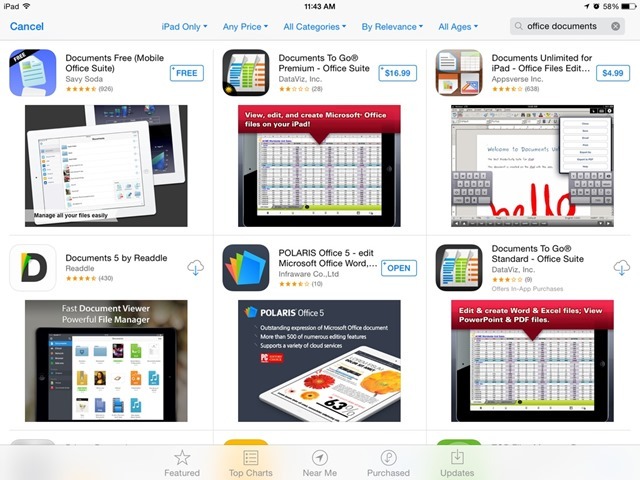 Compared to the $20- 30 range for a number of Office compatible suites on iOS (like QuickOffice, Documents to Go and Apple’s IWork suite) that’s a very steep cost. If you really *need* official Office compatibility and rely on Office docs heavily in your job, I imagine it’s not an issue – but I wonder how that’s going to go down with more ‘casual’ Office users. Microsoft is also coming into this market on iOS very late. And they’re still offering no iPad version – which ties in nicely with their TV ads mocking the fact that an iPad can’t run a Powerpoint app. I still think Apple has the last laugh here – as I don’t see a lot of prospective new tablet buyers finding Powerpoint a killer feature and Microsoft are leaving potentially billions of dollars on the table by not selling Office on iPad and iOS. 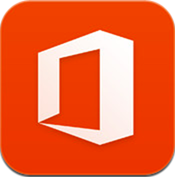 We’ve been hearing rumors and reports for months now on the prospect of Microsoft Office for iPad. The Daily – the iPad-only newspaper – were first to report on this back in February, and this week they’ve got a new report up stating that there’s now a specific launch date for Microsoft Office for iPad. We’ve learned that the development team within Office Mobile finished its work on the project last month, and the efforts of the design group wrapped soon after. The app is now in the hands of a usability team that appraises software that utilizes the Metro design language for “Metro compliance” and suggests changes as needed. When approved by the team, the app likely will go to Apple for app store approval, which could take a couple of weeks. So the app is very nearly ready to be released according to the above information; which begs the question whey hold it all the way until November. Perhaps to give Windows 8 based tablets a run of a few months of exclusivity on an Office app before letting it hit the iPad – though that window is obviously getting smaller all the time until a Windows 8 tablet is actually released. 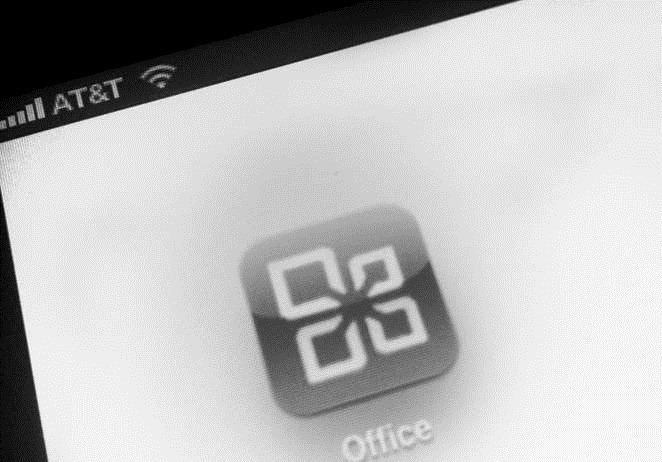 In any case, it’s looking more and more likely that we’ll be seeing Office for iPad before the end of this year. Microsoft ‘Looking at’ Bringing Office to the iPad? Microsoft has revealed to T3 that it is looking at the possibily of releasing Office for Mac for the Apple iPad, although any official word is far from confirmed. "Yeah, it’s something that we’re looking at," said Microsoft Senior Product manager Mike Tedesco. "Obviously the announcement (of the iPad) is really fresh and there’s nothing to announce or nothing that I can talk to you about today. There’s been lots of good news and rumors this week about increasing business support for, and interest in, the iPad. One of the bigger headline items is this one about the prospect of MS Office coming to the iPad. I’m sure this would be a big win for Apple, although personally I very rarely need any Office apps – as I get by just fine with Google Documents and other similar apps. If Office does come to the iPad, it will be fascinating to see how it is priced – given that Apple’s own iWork apps are going for just $9.99 each. How big a deal would Office on the iPad be for you all?